This is a re-blog post originally posted by James Gibbons and published with kind permission. Do you have a blog post which you are proud of? 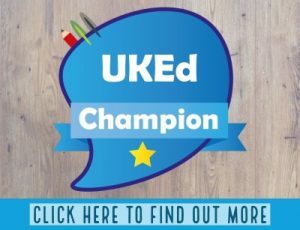 Submit your blog post for reblogging on UKEdChat.com by clicking here. In this section, I will describe the characteristics of each stage and give examples of it in action within a classroom context. – Substitution – at this stage, technology is simply used as an alternative tool for completing the original task with no real change in the tasks function. 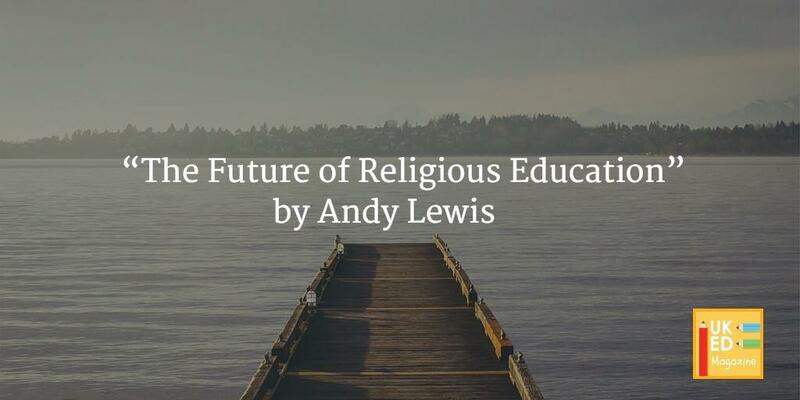 Whilst there may be occasions where this is appropriate or even necessary, there is no real gains in terms of the teaching and learning taking place. Example: instead of writing by hand, learners use an app like Pages to type up a report. – Augmentation – here, technology is still used as a direct substitute like above, however it offers improvements in terms of the function of the task. Again, there may be instances where this is necessary, probably more often than substitution, however it still does not improve the students learning experience. Example: again using Pages, however making use of features like spellchecking function or importing images to enhance the end product. – Modification – it is at this point where technology starts to enhance teaching and learning. It requires tasks to be redesigned, in order to make the most of the technology available. Example: once again, if students are creating a document on Pages, using the collaborative tools available on iWork for iCloud, learners can work on a document together. Peers could add feedback comments to the document in real time which could be responded to, which would improve the end product further. – Redefinition– this is the point at which technology really enhances the learning experience for students and has the greatest impact. Through the use of technology, educators are able to design tasks that were previously impossible. Example: like before, learners may be collaborating on a document in Pages. However, this time the end product will be uploaded to a website or perhaps a class blog. Students are usually excited by the prospect of their work being on display in a classroom, so the use of a real audience is huge for them. Furthermore, this builds their literacy skills as they need to consider the audience that they’ll be writing to and adapt their work accordingly. 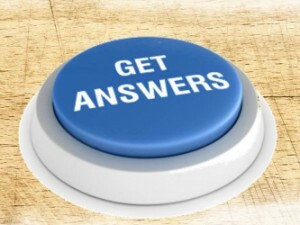 Finally, this opens up the possibility of feedback from this global audience which they can respond to. EdPuzzle (Free) – I love EdPuzzle, it’s a great tool for making videos more engaging. Rather than just get learners to watch a video, EdPuzzle’s online tool allows you to embed quiz questions making it a useful AfL tool. *The EdPuzzle app is for students and supports viewing videos made using the online tool. Currently, the app does not support creating videos. Book Creator (Free/£3.99) – this allows users to create digital iBooks including the ability to embed text, images, sound and video. Students can collaborate on producing iBooks using the combine books function (click here for more info). iMovie (Free/£3.99) – iMovie allows learners to create stunning video presentations to demonstrate their learning. It also supports exporting to YouTube, meaning anything created can be published straight away without leaving the app. Create a class YouTube account to showcase students work. Morfo 3D Face Booth (£0.79) – Morfo allows learners to upload an image and record a speech, making it appear as if the person in the image is talking: a great way for learners to take activities like role plays one stage further. Just some examples: get learners to speak from the point of view of a person from history, a character from a novel or a celebrity endorsing or promoting a product. Spreaker DJ (Free) – this app allows learners to record, mix and broadcast Podcasts. 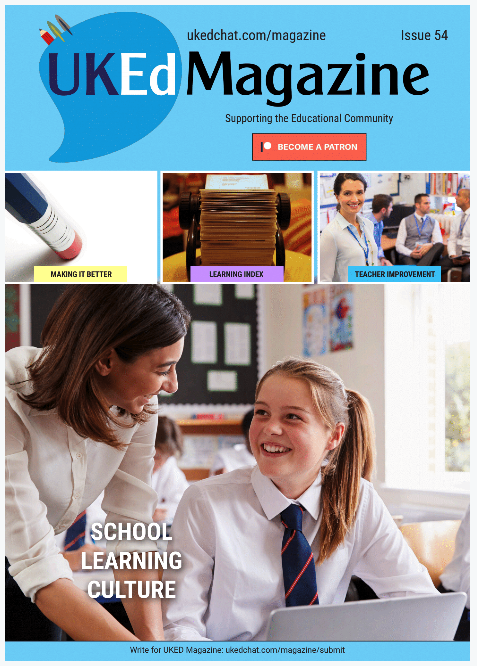 A great platform for students to verbalise their learning and present it to a world wide audience. An engaging alternative to written tasks. WordPress (Free) – WordPress is a free blogging platform. This can be used to create a free class blog which learners can use to showcase their work to a global audience. Invite students as contributors and let them collaborate on posts before submitting. You could even combine, or AppSmash to take it even further. Like creating something in Morfo, before exporting it to iMovie and using it as a feature in a longer movie sequence. 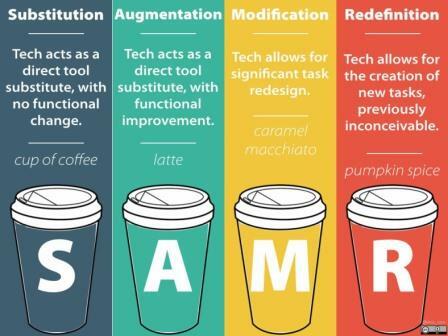 The SAMR Model is a great way to self evaluate just how effective technology is on teaching and learning. For me, what makes SAMR so great is its simplicity: it’s easy to understand and follow. However, it’s worth remembering that this still needs to be grounded in sound pedagogy in order to be most effective. Naturally, quite often tasks at the Transformation (Modification and Redefinition) stage will require higher order thinking skills according to Bloom’s Taxonomy, like analysing, evaluating and creating. Although achieving this was also possible before technology integration. Furthermore, in my opinion whilst we should aspire towards tasks at the Modification and Redefinition stage, it is important to not forget the value that Augmentation and to a lesser extent, Substitution, can have. For example, I have a learner who really takes pride in the presentation of their work and as a result, when creating a mind map will put down points they know are definitely right but will not take any risks. Introducing an app like SimpleMind+ to them, despite being an example of Augmentation, has been transformational to their learning as they are now more willing to take risks as they know they can easily delete or move items about without compromising on presentation. So whilst there is no doubt that technology can enhance teaching and learning, simply adding technology to a badly designed task does not necessarily make it better: it’s not magic after all!